Thanksgiving is coming up soon, and everyone will be making their lists of things they are thankful for. Somewhere in my list I always include my salvation, because really, isn’t the fact that Jesus died for our sins the ultimate gift for which to be thankful? I realized a couple months ago that I have never posted the story of how I met Jesus on my blog. You can get the short version in the “About Me” tab, but I’ve never devoted an entire post to the most important event of my life, the moment I’m most grateful for. Why I haven’t is beyond me. I think it has been a thought niggling in the back of my brain for a while now, but I’ve never sat down and typed it out. I decided that as we enter this season of Thanksgiving and then celebrating the birth of our Savior, it would be a great time to finally share my “salvation story”, if you will. As I thought about it, I realized a lot of you might never have posted your testimonies either. I’m not judging – sometimes things get busy and you just don’t think of it. I know! So I thought I’d ask if any of you want to join me in thanking our Savior for what He has done in our lives in the best way we can – by sharing our stories with others. I’m planning on posting my testimony on the Thursday before Thanksgiving, November 17th. It seemed like an appropriate way to lead into a holiday that is all about thanking God for our greatest gifts. Will you think about joining me and posting your testimony on your blog that day as well? I’m planning on doing a link-up, and there will be a button made at some point. I’ll post a reminder as it gets closer, but I’m giving it a full 2 1/2 weeks – I think that’s plenty of time to decide on whether to join in and to write up your testimony if you do decide to do it. If you have written a post about your testimony in the past, you can definitely just link to that as well. If you’ve never devoted an entire post to sharing your salvation story, I hope you join in! More details and a button coming soon! I may inadvertently start an uprising with this post. You have been warned. 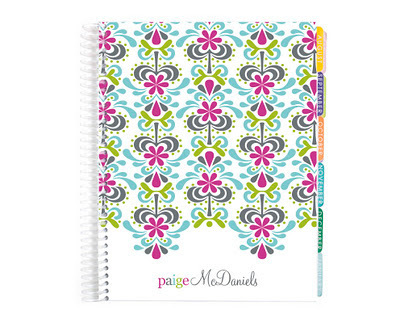 I've been seeing alot about Erin Condren planners lately in bog world. If you are a blogger and you haven't heard of them, you must not read other blogs (but here you are, hearing about it on here now, so you must read blogs). With all the buzz about them, I thought they must be some major breakthrough in the world of planners or something, because everyone is talking about them. And alot of people are willing to pay $50 for them, so they must be cool, right? I checked out the website though, and I must say I don't understand the hype. Sure, they are really cute and they are personalized . . . but is that it? Is everyone really willing to pay $50 just for cute? I'm sorry, but I just don't think they are worth that much, cute as they are. Do you know what I could buy for $50? P.S. I know there's been deals going on where you can get them for $20-25 dollars, which is a vast improvement over $50, but it's still debatable to me whether it's even worth that. Categories: Random, What Do You Think? This week I’m featuring Rachel from Rachel and John! I also found Rachel’s blog around the time I got pregnant with Wyatt, and soon after she found out she was expecting too (I feel like a broken record a little bit, but I seriously did find so many pregnancy blogs around the same time last year)! I enjoyed reading about Rachel’s pregnancy, which occurred during the same year she was finishing her Master’s – I don’t know how she handled all that work along with pregnancy! Read on to learn more about her. I'm Rachel. I'm happily married to the love of my life. I just finished my M.Sc Degree at the end of March and in April I gave birth to our first child. All in God's perfect timing! Our son's name is Henry and he just turned 5 months old. 8:00am:Wake up, Feed Henry and get him ready for the day. Then we play until he gets tired. 10:00: Nap time for Henry, Shower time for me! I get ready too, and then play on the computer if I have time. 11:00: Henry wakes up, I feed him and change him. Then we head out to do any running around that needs to be done. If we don't have any to do, we take the dog for a walk and play some more. Sometimes Henry has another short nap...sometimes he doesn't. We just go with the flow. 4-5: Henry wakes up so I feed and change him. Then we call John to see when he'll be home and what he has planned for dinner (he cooks often and even if he doesn't cook he has good meal ideas). We start dinner. Henry plays in his jolly jumper. 6-7: Henry naps again, John and I eat dinner. 8: We get Henry ready for bed. I feed him and he's down for the night! Well, he's only slept through 3 times. He usually wakes up at 3:30am for a quick feed and that's fine by me. I usually stay upstairs once Henry is sleeping so I'm close to him. Sometimes John and I watch TV, sometimes I do chores or cleaning. It varies! Everything. I can't pick just one part. I love having such a purpose. I love the heart swelling love that takes my breath away. I love never being alone. I love being needed. I love that I made a person, and now I'm keeping him alive. That's kinda awesome! Do 1 active thing every single day. And don't forget to EAT. The biggest thing that helped me was keeping my metabolism going. Eating healthy snacks all day long. And Breastfeeding (if you can). Don't focus on the pounds. I'm only 5 pounds away from my pre-pregnancy weight but my body isn't the same. I'm trying to focus on getting back into shape, not just getting down to a certain number. We try to spend a lot of time together both with and without Henry. John usually calls at least once a day just to see how we're doing. We usually make dinner together which gives us a chance to talk. We make sure we have family days as often as possible too. On those days we do everything as a family, even running errands. We plan to eventually have 1 date night a month without Henry, but right now we're just not ready to spend that much time away from him! 1) Washable breast pads (if you're breast feeding). I have a crazy over supply of milk that I'm very thankful for. But it means I have leaks quite often...unless I'm wearing washable BP. 3) A baby wearing device. It will not only let you burn some extra calories by carrying extra weight around but it also allows you to do almost anything while holding the baby! I would have to say our trip back home to visit our family and friends. Not only did we love introducing Henry to everyone, we enjoyed taking him to all our favourite places. Plus he was an angel on the airplane! Do what feels right. Keep all that advice people give in the very back corner of your mind so if you are in a situation where nothing is working, you can draw from. And if you never need to use it, all the better! Take a million pictures. Stare at your baby. Hold your baby when everyone tells you you're spoiling him. Because soon he'll be wiggly and far too distracted to let you hold him any time you want. ENJOY IT! Thanks Rachel! Check out Rachel’s blog to read more! I decided to do a new Questions and Answers post! I did one last year before I told you all I was pregnant, so obviously alot has changed since then. You might have new questions for me. Or you might not have been around last year when I did the Q&A post. This is your chance, People! You can ask me anything. I may not answer if I think the question is too private (or I may answer privately if I feel like being transparent, so include your e-mail if you really want to know). I'm trying out a new survey website, so you can ask your question completely anonymously! I don't think most of you mind if I know you asked me the question, but some of you might - so you can be anonymous if you want to. Plus I just wanted to try out this snazzy system. And in regards to the second question, don't worry, I got the message - a post about my thoughts on cloth diapering is in the works. Ask away! I'll post my answers sometime in the next couple of weeks. You know those six month pictures I promised to post, oh . . . about a month ago? Well, here they finally are! Our photographer friends, Scott and Danae did a six month session with Wyatt, and they took some family pictures of us too. They did such a wonderful job! I love the way they turned out, and they captured Wyatt’s facial expressions so well. Enjoy! Be sure to let me know if you are in my area and would like Scott and Danae’s information! I’d be happy to oblige. Lately I've been thinking alot about the Future. But not in the way you might think. At first I was thinking about the Future in regards to everything it may or may not hold. What will happen with our jobs in the Future? Will we live in this house forever? So much has changed in this past year - what will life look like at this time next year? Will I have as much trouble getting pregnant with our next baby as I did getting pregnant with our first? How many kids will we have? Mostly just questions of the unknown. But lately, my thoughts about the Future have been more focused on my actual thinking about the Future. Sure, it can be fun thinking about what might be, but is it really healthy? I've been convicted recently that it's not, not in the way that I have been thinking about it. I don't think there is much good to be done in thinking about the Future, except as it may affect our present actions. If I'm thinking about the Future only so I can plan appropriately for what I need to do today, there really isn't too much of a problem (got that tidbit from "The Screwtape Letters" by C.S. Lewis, and I agree). If I'm thinking about and focusing on Eternity that is a very good thing, because it has immediate repercussions in the Present - I'm going to live in a more godly manner today if I'm living with Eternity in mind. (see Chapter 15 in "The Screwtape Letters" for a good discussion about this whole subject). But in this post I'm talking about thinking on my physical Future here on earth. If I'm thinking about the unknowns of the Future, it only brings about two reactions: worry about the Future or discontent with the Present. When I start thinking too much about what might happen in the Future, it's almost impossible not to worry. I get to thinking about all the "what-if's", wondering what will happen, and then wondering what I should do if it does happen. It's so easy to forget that worry is a sin. And I mostly worry about things in the Future - I don't worry so much about what is happening right now. Worrying about Future events that may or may not happen is a huge joy-stealer in my life - how am I supposed to be joyful when so many cares and worries are loading me down? But not all thoughts of the Future are filled with doom and gloom - sometimes I like to dream about the Future. And really what is wrong with that? I think sometimes it's okay to just dream a little, but if my mind is often consumed with daydreams about things that may or may not happen, I don't think that is healthy. It's not at all helpful for appreciating the moment - in fact, focusing on what might be in the Future takes my attention away from being thankful for all those everyday gifts that I have right now (this also ties in with the book "One Thousand Gifts" by Ann Voscamp, which for me has become partially about living fully in the Present, not with the Future constantly in mind). And then on top of that, there is bound to be some disappointment if my actual Future doesn't live up to my expectations, or I may find myself discontented with the moment and wishing it away for the sake of things in the Future. How ungrateful that is! The Lord showers blessings on us every day, and I'll miss most of them if I'm always looking for the next thing. Right now, today, is all I have. I have no gaurantee about anything in the Future - why do I spend so much time thinking about my Future here on earth when what I do with each Present moment is what will really count for Eternity? What eternal value is there in focusing so much on the earthly Future? There isn't much. Can focusing much of my thoughts on the Future help me live better today? Not really, unless I am only thinking about the Future so I can plan present tasks. But then I still have to be careful not to let worry sneak in, and that is so easy to do. Can thinking about the unknowns of the Future help me serve the Lord better? No. It takes my attention away from the Lord and focuses it on temporal dreams or fears. I don't want to focus so much on the "what if's" or "maybe someday's" of the Future. I don't want to waste the Present - this moment is all I have any control over, because once it has passed me by it becomes the Past, and I can't have it back. I want to appreciate every gift and make the most of every moment that is given to me right now, because what I do right now is what will matter for Eternity. I think I could honor the Lord much better if I think less about the Future (or even the Past, but that is a different subject), and just practice minding the Present. Obviously I'm still working on it, and this is a struggle I'll probably have until my Future no longer includes this physical world, but only Eternity - but then it won't be the "Future" anymore, it will just be a never-ending Present with my Savior. And that is the most beautiful thing to look forward to. This week I’m featuring Emily from Live A Charmed Life! Emily and I found each other in blogland last year before either of us was pregnant, and it’s been so fun to read about her pregnancy and her little girl! Check out her interview to learn more. Hi! My name is Emily and I've been married to my husband, Jonathan for a little over 3 years now. I'm a part time art teacher working two days a week and a full time mom. I'm just taking this new mom business one day at a time and learning a lot along the way! My daughter's name is Georgia Emiline and she is 4.5 months old. Bedtime can be anywhere from 7:45 - 8:45 depending on how sleepy she is. Any errands we need to run we tend to do so after her first nap or after her second nap. We usually stay home before her first nap because she doesn't stay awake that long between when she wakes up and her first nap. I like her to nap at home because she takes such good naps in her crib and not so good naps in her carseat. I try to get a lot done during the day. When she is playing on the floor or in her jumperoo I will play and talk to her while I fold laundry or I can talk to her from the kitchen if I'm doing dishes while she is in the living room but I do spend a lot of my day on the floor playing with her, reading, singing, and talking. I work on Mondays and Wednesdays so clearly those days are different for me but my MIL keeps her on the same schedule. The best part for me is seeing her light up when she is happy (like when she wakes up from a nap) or watching her develop new skills and then perfect them. Seeing how much she has changed in just 4.5 months is amazing! I'm not the best person to ask because I was below my pre pregnancy weight before Georgia hit her 2 week mark. I did breastfeed for 2 months and I think that was part of it but I also have hypothyroidism and am still working on issues with that and it caused me to rapidly lose weight (at an unhealthy rate) but also caused me to have very low milk production and no appetite. I wouldn't reccomend this method. I currently am still about 10 pounds less than my pre pregnancy weight...and I was pretty slim before. I would suggest staying active though during your entire pregnancy. It seemed to help me and it also helped during my L&D. First of all I pray for a strong marriage every morning and I think that makes a huge difference. Also, we take time to actually talk once Georgia goes to bed, date nights we are horrible at...I think we've had 2 in the past 4.5 months (we really need to work on that!) but we also do a lot of fun things as a family and that really has helped. Jonathan works a lot because he is a teacher and a coach (read: crazy hours!) but when we have time together we use it wisely. Well, this question is a bit hard since I am technically a "first-time mother" with only 4.5 months of experience under my belt but here is my 2 cents. Don't do anything because other people are doing it. Do what is best for you. If you hate breastfeeding, like I did, then don't do it. If you think cloth diapers are too much trouble, then use disposables. If you don't want to put your child on an altered vaccine schedule, then don't. If your child needs to stay swaddled well over 3 months (like mine), then keep it up. If your worried that formula and disposable diapers will max out your grocery budget don't worry...they won't. Our weekly grocery bill hasn't changed one bit with formula and diapers oddly enough. Every family and every baby is different and that is OK. Thanks Emily! Stop by Emily’s blog to read more! Edit: Good news! I was just testing the technique that I originally thought would allow anyone to find the sign-in e-mail for any blog, and I realized that when I originally tested this it sent it to the account e-mail that I was signed into because it was the same e-mail I had listed as my contact e-mail in my profile - so people actually can not find your e-mail sign-in this way. However, in the past Blogger has reset my settings (without my permission - so annoying) to the default settings which did make my private e-mail visible for a short period of time, before I discovered it and hid it again. I've wanted to change my e-mail sign-in ever since this happened so that I'd have the peace of mind of knowing that if Blogger "reset" my settings again, it would be my blog e-mail (instead of my private e-mail) that showed up anyway. The instructions below are still the only way I've found to change your sign-in e-mail, but I will let you know if I ever find an easier way! I had a few requests for me to post the "how-to" on switching your blogging account from one e-mail address to another - this is handy if you created your blog with a personal e-mail address before you were aware of blog security (like I did). If you are concerned about making sure your private e-mail stays hidden, it may be a good idea to switch your blog to a different account. 1. So the first thing to do is to create another e-mail address that you want to be associated with your blog. This can be with whatever service you want, but I think you'll have to set up a Blogger account with this e-mail if it's not a Gmail account. Update: Jessica told me of an easier way to change your e-mail, but this will only work if the e-mail you used to set up your Blogger account is not a Gmail address. If it is with another service, you can go to your Google homepage, click on your username in the upper right-hand corner, click on "Account Settings". Under the "Security" section, you can select to "Change Your E-mail" - then change it to your new blog e-mail address. You'll also want to update your contact e-mail in your Blogger profile if you have it set to your old e-mail. Then you are done. If, however, your sign-in e-mail is a Gmail account, you'll have to go through the below steps. 2. After you create that e-mail, go to your Blogger account and click on the "Settings" tab. From there, click on "Permissions". 3. Click the "Add Authors" button, and enter your new blog e-mail. Click "Invite". 4. Open your new blog e-mail account and accept the invitation. 5. Go back to the permissions page signed in with your original e-mail. It should show your original e-mail as the administrator, and your new e-mail as a contributor. Click on the link to make your blog e-mail an "administrator" too. 6. Once you have both of your e-mails set up as administrators, sign in with your new blog e-mail. You should have access to all aspects of your blog from that e-mail now. 7. Once signed in with the new e-mail, go to "Permissions", and remove the other e-mail. That e-mail address will no longer be associated with your Blogger account. Don't delete the old Blogger account though, because it will delete your entire Google account associated with that e-mail, and any pictures you uploaded previously to your blog will be deleted too, unless you use an outside service. 8. Make your new Blogger profile look all pretty. If all you want to do is switch to another e-mail, then you are done! However, if you are like me, you were following all of your blogs with your original e-mail. This is a problem because if you use Google Reader, you want to be able to read in Google Reader and comment on blogs with the same account, so you don't have to keep signing out and signing in with the new account every time you want to comment. There are two ways to handle this problem. 1. Just keep your original profile up and running, list your blog as your "website" in that profile, and read and comment with that account. I don't know of a way to find out the e-mail address associated with a Blogger profile, but I'm not certain - there could be a way to find the e-mail associated with your profile that I don't know about. 2. Or, if you're like me and get a little OCD about this stuff, you can re-follow all of your blogs with your new account and then un-follow with your old account. Unfortunately, there just isn't an easy way to do this - you have to re-follow individually. Yes, it takes forever, but it was worth it to me to just have everything transferred to one new account, and for my peace of mind. One advantage of this is you show up at the top of the follower list in the little "followers" gadgets, so you might get more new traffic that way - I consider that a little bonus for all my hard work. And that's it! I hope this is helpful, and let me know if you have any questions - I'll do my best to find the answers for you! A few weeks ago, Derek and I went grocery shopping together. We don’t go grocery shopping together very often, and when we do we usually split up so we can get everything done twice as fast. This time, however, we ended up just sticking together. I knew we needed some more canned goods, so we headed down that isle. When we came to the diced tomatoes, I stopped and grabbed a couple cans. I was about to put them in the cart when Derek shouted “NO!”, and snatched them from my hand. Okay, he didn’t actually do that. But he did stop me from putting them in the cart. Apparently our cupboard is overflowing with cans of diced tomatoes. Why? Because apparently I buy some almost every time I go to the store. I never really thought about it before, but I realized it’s true. I buy a lot of diced tomatoes. I buy it because I have this idea in my head that we are always running low on diced tomatoes (even when we aren’t), and that I need them for almost every meal we make (which, when I think about it, we actually don’t). I’ve discovered that packets of chili seasoning are the same way. Whenever I do a big shopping trip and I go down the seasoning isle, I always buy 1-3 chili packets, because I think that we are running low and we need them (actually all the seasoning packets are bad for this, but especially chili). I currently have seven chili seasoning packets in our cupboard. And we don’t eat chili that often. Why this compulsion to make sure we have plenty of tomatoes and chili packets? I didn’t even know I did this until Derek brought it to my attention. Please tell me I’m not the only one with weird grocery-buying habits. This week I’m featuring my blog friend Chloe From Tryin’ To Throw Our Arms Around The World! Chloe and I are blog friends from way back (I think I was her first follower? Or close to it), and we even got to meet once. I was so excited when I heard that she was pregnant and due just a couple months after me, and her blog continues to be an inspiration to me as I read about her thoughts on motherhood. Check out her interview to learn more about her (and amen to her answer to that last question – something I’m still working on)! Well I give you a picture of my ideal day, which at any time is subject to drastic changes, thanks to my squishy little boy. I try to wake up around 5am and go running before either my husband or Gee wakes up. Then Gee usually wakes up between 7 and 7:30, and I change him and set him with some toys, then get ready for the day myself. Then he goes down for a nap about an hour later, while I catch up on devotions/emails/blogging/chores/etc. He'll wake up and eat, then I'll eat, and we'll either do chores with him in the Moby, run errands, go to the library, go for a walk if it's nice out, or sometimes meet up with other moms. Late afternoon he usually takes 1-2 shorter naps, and we play together before I start making dinner. Then he usually goes down for bed anytime between 8 and 9. Oh there are so many aspects that I love, but I think my favorite may be how it has enabled me to understand just a little bit more HOW MUCH we are loved by God, though we've done nothing to deserve it, just like I love my baby SO MUCH yet he has done "nothing" to deserve it from me. What's even more amazing is that God loves him - and me - more than I really can even come to grips with during my time here on earth. For me, having a playmat has been indispensable! He loves playing with the hanging toys, and it's safe on the floor. We just can't hold babies every second of the day, (though I'm sure they would love that), so this has made for a great distraction. :) Also, if you're a mom/future mom wanting to use cloth diapers, Grovia is a simply amazing brand for multiple reasons. Thanks Chloe! Check out Chloe’s blog to read more! I've got alot of blog housekeeping to do here, so just bear with me. I'll try to highlight the critical points. Did you know that there is a way that anyone can find out the e-mail address that is associated with your blog? I know this because I tested it out with my blog. This isn't a big deal if you sign into your Blogger account with a specific blog e-mail, but if you sign in with a private e-mail address, this is a problem. When I originally signed up for Blogger, I signed up with a private e-mail address, because I was inexperienced in blog security and I was naive. But I'd really rather not have the whole world know that e-mail. So I scoured the internet (okay, I actually just searched the Blogger help boards), to find out how to transfer my Blogger account from one e-mail address to another. The actual transfer wasn't too hard, but transferring the blogs I follow got kind of sticky - so if any of you noticed weird things going on with your followers list in the last couple weeks, it might have been me fixing my accounts. If any of you have your blog associated with a private e-mail account and are interested in changing it, I can post a how-to. Just let me know. I never posted the results to the last poll! I wonder if there would be a way to combine all of these answers into one vacation? Because as I look at the question now, I'm really not sure which answers I'd pick - all of them look good to me. I think I'd like to go on trips that fit into each category at some point in my life, so maybe my "dream vacation" would be spread out over several separate trips. I know, I'm totally cheating by saying that! Overall, the majority seems to prefer either a beach vacation, or a European tour. I think those two could be combined in one trip, actually. I'm sure some European countries have decent beaches. I'm going to give the poll questions a rest for a little while, because clearly they are getting away from me. I asked that question a month and a half ago, and I'm just now posting the answers! This time of year things get a little hectic for me, so I'll probably bring the polls back when I know I can handle updating the questions again. They reset the stats on Top Baby Blogs. Could you all click the button and vote for me? Then at least I'll stay on the boards. I've met some great bloggers through Top Baby Blogs, so as annoying as it is to solicit votes, I'd like to continue to meet more mom bloggers! If you are on the site, I'll be sure to click through with your button and vote for you too. Lately I've come across so many good posts from my fellow bloggers. Seriously, you guys are coming up with some good stuff! I think I've starred more blog posts in the last few months than I ever have. So in order to highlight some of the posts that stood out to me, I'm adding a "featured posts" section in my sidebar! When I find a post I really like, I'll feature it in the sidebar, and I'll put them all in one post at the end of the year. I'll update the list every couple weeks or so. Let me just say that I've read alot of great posts lately - these are just a few of them! I'll be adding more as I remember them and as I read new ones. Okay, I think that's all the housekeeping I have. I am off to the zoo today with two friends! We thought we'd take our babies, and it's a good chance to visit. Wyatt is too little to appreciate the animals, but it'll still be fun.